Appliance Repair Saginaw: What is the Appliance Warranty? What is My Appliance Warranty? Welcome back to the Appliance Champion blog! 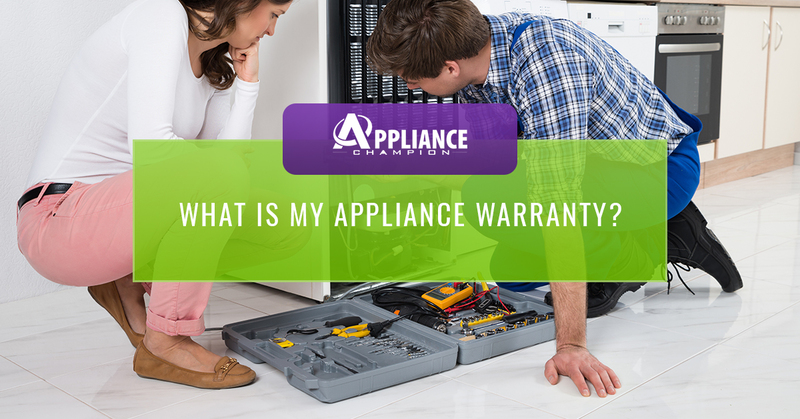 In our last blog post, we began talking about your appliance warranty. In short, the warranty for your appliance determines who pays for repairs. DIY-ing your own repairs or having a non-certified technician work on your appliance can void your warranty, causing you to lose money and time. Today, we are going to tell you a little bit more about your appliance warranty and why it’s important to have a factory-certified tech work on your appliance. If you missed our last blog, What You Need to Know About Your Appliance Warranty, be sure to check it out for information that you need to know. Some parts of your machine have more coverage than others. Some brands of appliances provide more coverage than others. For example, some offer a “parts only” coverage for up to 10 years which means they will pay for the cost of the parts that you need to repair your appliance. If you sense that your appliance is on the fritz, it might be time to check your owner’s manual to understand just what is covered by your warranty and what isn’t. Also, consider searching the internet to learn if there has been a recall or if there seems to be common problems with a specific part of your model. When you call for repairs, the tech that services your appliance will most likely not work for the appliance manufacturer. With this in mind, it is important to remember that a repair tech can not offer replacement of your appliance or give you extended coverage. However, an authorized technician will have access to factory-certified parts and will repair your appliance as the manufacturer would have intended. When you call for repairs, make sure that you are hiring an authorized appliance repair tech. Why? Not only will they have the right parts and know how to repair your appliance the right way, they won’t void your warranty. A voided warranty means that the manufacturer won’t pay for any repairs or replacement of parts even if the warranty should have covered it. For this reason, it is important that you don’t just call anyone — call a factory-certified tech everytime your appliance needs some TLC. In conclusion, your appliance warranty is something that should be protected. It is something that you are entitled to have and will save you time and money. Only allow an authorized or factory-certified tech to repair your appliance. They will understand the root of the issue that you are facing with your appliance and be able to complete all the necessary repairs, and those that they can foresee happening in the future due to the current issue with your appliance. Need Appliance Repair in the Saginaw Area? The next time you need appliance repair in Saginaw or the surrounding area, call Appliance Champion! All of our techs are factory-certified, background-checked, drug-tested and have years of experience fixing major appliance brands. We would love to help you get your appliance up and running as soon as possible and your life back to normal.